As the death toll mounts, Benji, vampire fledgling and podcaster, appeals to the elders of the vampire tribe to do something. Anything. So do I. But then I’ve been begging for several books and they still haven’t done anything. This book actually greatly exceeded my expectations. Of course, if you’ve read my previous reviews of the Vampire Chronicles you won’t be surprised by the news I didn’t have very high expectations when I started this book. So, when I say “exceeded my expectations” what I mean is the book actually had a plot. Yes, there was an actual storyline that the characters (more or less… sort of…) stuck to with an actual antagonist and actual events. I would normally consider this to be something of a basic requirement for a book but given the last 5 books in the series had nothing resembling a plot, just long winded expositions of back story (and this is very generously suggesting the tortured quasi philosophical screed of Memnoch the Devil had a plot) of random characters suffering from an obsessive need to recount their memoirs to anyone who will sit still long enough to hear them. So there was plot. There was an actual threat to vampire kind and Benji shouts out to the airwaves to ask all the super elder powers of the vampire world to pause in their eternal moping, put down their latest diary entry, refrain from falling in love with random passers by and please use their super powers to actually do something. And they hear the call and proceed to… navel gaze. And mope. And lament. And be ludicrously melodramatic. Seriously, the threat is introduced moderately early in the book and in response we get to see the view points of 80 gajillion vampires all of whom are not actually doing anything but being upset and agitated and dramatic and falling in love with any human/vampire/ghost/passing seagull that catches their eye. In between this is Lestat who is aiming for Gold in the moping Olympics and he is positively lapping the competition. Like the founding of the Talamasca. At last, some explanation for the Talastalkers and why they do what they do. We hear all about the founders in rather excessively boring detail and learn that they founded the Talamasca for… for… for… well… ok they founded the Talamasca for reasons which I sure were very important. But… the Talamasca isn’t in this book. They have no presence in this book. They do nothing in this book. And, not matter how much this is technically solving a great mystery of this world, it still grossly out of place in this book and achieves absolutely nothing except throwing in a random intermission. Maybe the Talamasca could hand out popcorn? Or fervent assurances that they will get on with the plot, honest. It’s like reading a World War 2 drama and suddenly having a chapter devoted to Charlemagne – potentially interesting, yes, but not really relevant. Which brings me to Viktor – why is he here? He and Rose, humans connected to Lestat through means I won’t spoil – but they don’t do anything, they add nothing to the plot line, they’re just there. Again, conceptually, they have potential as mortals thrust into the vampire world in such an unconventional way. That potential is completely wasted as they neatly fit in exactly the same mould as every other human-destined-to-become-vampire does. Oh there’s a kidnapping scene, but the characters are so interchangeable that they could have replaced them with Daniel or David or Gabrielle or Louis or Sybelle or Antoine or Jesse or Everard… well any of the innumerable pointless vampires who kind of lurk around the background of every scene doing absolutely nothing. Which leads me to the next point – this book is full with just about every last vampire who has ever existed in the entire series (except Blackwood Farm and Blood Canticle because I like to hope that even the author would prefer to pretend those books never ever happened). Armand, David, Jessie, Marius, Sybelle, Pandora, Gabrielle, Louis – they’re all there. On top of that we even have appearances from teeny tiny vampires who we saw relatively briefly in the series like Bianca, Antoine, Thorne, Allesandra, Eugenie, Eleni, Arjun. Then, even more, we have a whole new crop of characters - Gregory, Sevraine, the Talamasca Trio, the Science Vamps and more I’ve likely forgotten simply because NONE OF THEM DO ANYTHING. They’re AUDIENCE. They exist to stand in corners and to occasionally cheer how awesomely awesome the awesome Lestat is in awe inspired fashion (it’s a good thing they are there to say how amazing Lestat is because Lestat doesn’t do one damn awesome thing in this book but everyone still treats him like the second coming). Not only do we have this vast cast of utterly pointless characters doing absolutely nothing, but half of them actually have entire chapters dedicated to their internal monologues/backstory/irrelevant musing for no damn reason at all. Really, can someone please tell me why we had a full chapter about Antoine? Or Rose? And why did Gabrielle take Lestat to Sevraine? Worse, because we’re telling this from multiple people’s POV all the different big reveals of the plot (Talamasca Trio, Science Vamps, the Voice) are all repeated several times. We get to see one vampire’s reaction then we shift to another vampire for the grand revelation AGAIN. Then to a third vampire – at this point the plot actually feels like it’s going backwards. But let’s return to that plot, buried in excess characters (who all sound EXACTLY the same. Seriously, they’re all terrible purple historians with vain ambitions of being romantic poets. 6,000 years old or 19 years old – their voices are the same overwritten nonsense) and distractions. The plot has lots of ominous happening, lots of vampires navel gazing and lots of Benji appealing for help until the end, when the Big Bad sends in his Scary vamp against the Navel Gazing Vamps (who have all gathered to Navel Gaze together). The action lasts exactly 2 seconds as the evil Chihuahua tries to savage a room full of Dobermans. Yes, I’ve said this before but I have to rant about it again – Lestat meets Fareed and Seth and 2 seconds over? Loves him. Lestat hears a voice in his head? He loves the voice. If he flies over a farm yard he probably loves the livestock (thankfully for worried farm animals everywhere, vampires are functionally impotent). 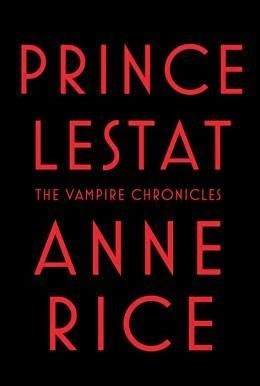 And it’s not just Lestat, it’s every last character – lots of them love Lestat despite never having met him. They all love everyone they’ve ever met for more than 2 seconds and feel the need to tell us in horrendously long winded detailed descriptions. And it doesn’t matter how they’re related: siblings, parents, children, friends, love interests, ex’s, enemies, complete strangers – it’s all written the same way. The same dreadful, purple way. So, my conclusion – we have a plot! It’s terrible, has no sustained conflict, is held together with terrible wishful thinking and loose connections and is utterly buried under irrelevant nonsense and a sufficiently bloated cast of characters to form a large marching band (in purple uniforms, of course). But it has plot… so… step up?